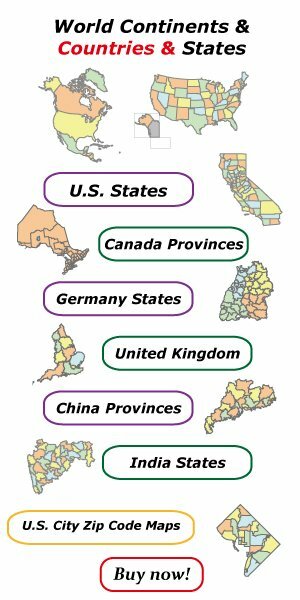 Mexico PowerPoint map with 31 states and 1 federal district, highlighting Jalisco, México, Puebla, and Veracruz states. 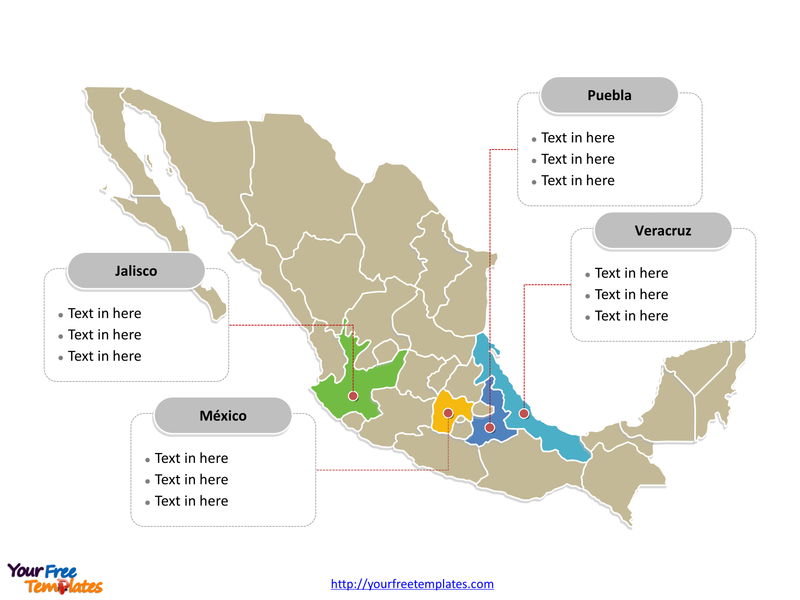 Mexico PowerPoint map labeled with Mexico City, Guadalajara, Monterrey, Puebla, Toluca, Tijuana, and León cities. 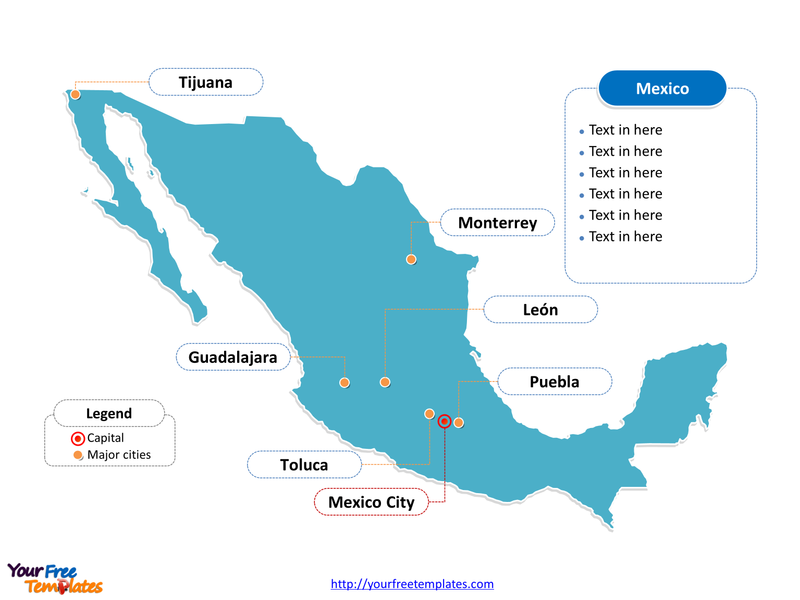 The Map of Mexico Template includes two slides. Slide 1, Mexico PowerPoint map labeled with capital and major cities. Mexico is a federal republic in the southern half of North America. It is bordered to the north by the United States; to the south and west by the Pacific Ocean; to the southeast by Guatemala, Belize, and the Caribbean Sea; and to the east by the Gulf of Mexico. Its capital and largest city is Mexico City, other major cities including Guadalajara, Monterrey, Puebla, Toluca, Tijuana, and León. Slide 2, Mexico PowerPoint map labeled with major administration districts. Mexico is a country composed of 31 states and 1 federal district: Aguascalientes, Baja California, Baja California Sur, Campeche, Chiapas, Chihuahua, Coahuila, Colima, Durango, Guanajuato, Guerrero, Hidalgo, Jalisco, México, Michoacán, Morelos, Nayarit, Nuevo León, Oaxaca, Puebla, Querétaro, Quintana Roo, San Luis Potosí, Sinaloa, Sonora, Tabasco, Tamaulipas, Tlaxcala, Veracruz, Yucatán, Zacatecas and Distrito Federal. Every individual political subdivision is an editable shape. Detailed Mexico PowerPoint map of political administrative divisions please refer to Wikipedia Mexico.